The Philippine Eagle is consider​​ed to be one of the most remarkable bird species in the world, for its ferocity, grace, and unparalleled beauty. It is a vertebrate of the highest class, with the size and wing span that provide the lethal mobility of an extraordinary winged predator. This raptor adapts well in dense, lush flora, making it the perfect fit for the Philippines' tropical climate. But as it is endemic to the rainforests of the Philippines, its existence is gravely affected by natural habitat loss and hunting. Sadly, only 400 pairs remain, making it one of the most endangered species in the world today. 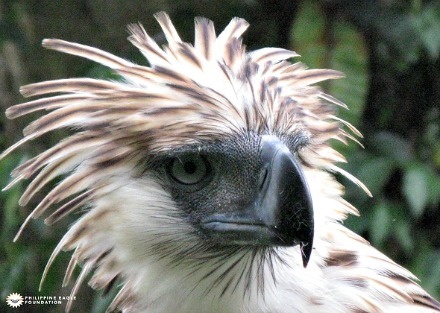 Over the years, 13-year old "Mindanao" has inspired both locals and visitors of the Philippine Eagle Center in Davao to learn more about its kind. "Mindanao" has helped raise awareness about the delicate situation the eagles are in, as well as PEF's mission to advocate for its survival and the sustainable use of forest resources towards a better future habitat. But the call for combined efforts to help preserve the life of these majestic creatures remains. Aside from being aware of the current, long-standing obstacles the Philippine eagles face, everyJuan can do more. Starting October 15, 2015, Cebu Pacific, the country's leading airline, takes Philippine Eagle "Mindanao" under its wing. The adoption of "Mindanao" strengthens the airline's commitment to act on environmental conservation issues that are greatly linked to the country's rich biodiversity. For five years, Cebu Pacific will provide food and necessary veterinary care that will help flourish and sustain the well-being of "Mindanao" as one of the country's prominent national symbols. "The Philippine Eagle is a significant part of our country's thriving ecosystem. We encourage everyone to help preserve this national icon until they can fly freely, without threat, in their natural habitats," said Cebu Pacific President and CEO Lance Gokongwei. Through this partnership, Cebu Pacific directly supports PEF's Conservation Breeding and Conservation Education initiatives that prevent the complete extinction of such species. It also provides a helping hand to further accelerate the Captive Breeding program of PEF, as well as raise awareness about the plight of the Philippine Eagle. This initiative supplements Cebu Pacific's other long-term commitment to the environment, the Bright Skies for EveryJuan campaign. In place since 2008,this climate adaptation program,in partnership with the World Wide Fund for Nature – Philippines, benefits the country's two great reefs – the Tubbataha and Apo Reefs.